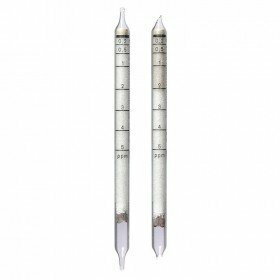 These short-term gas detection tubes for hydrogen sulphide (H2S) have a a measurement range of 0.2 to 6 ppm and have a shelf life of 2 years. 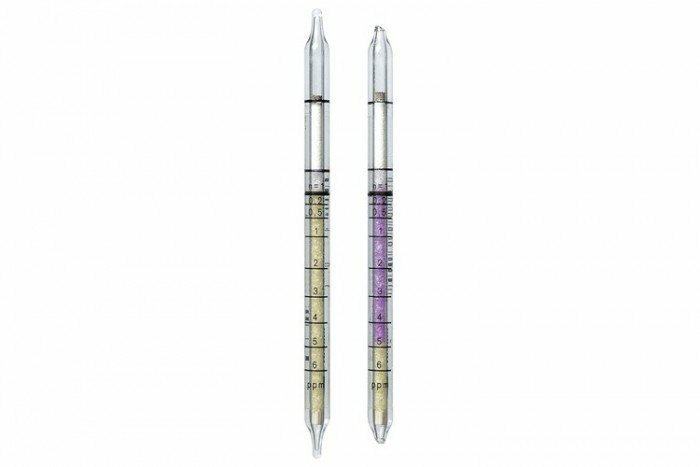 The Drager tubes come in a pack of 10 tubes. to be multiplied by 1.5; standard deviation: ± 30%. sensitivity. Within its TLV, hydrogen cyanide changes the color of the entire indicating layer to a light orange. The reading of hydrogen sulfide is not affected.